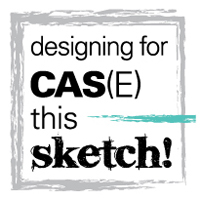 We've got a great new challenge for you this week at CAS(E) This Sketch. If you love angles you are going to like it for sure! I recently got this stamp set from Concord & 9th. The cluster of flowers was angled in such a way that it fit the sketch. So I stamped them in black then filled in a couple of them with yellow. This is one of the fastest cards I've ever made! 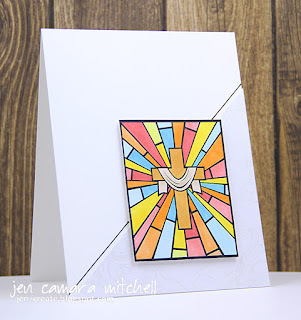 But I love the simple design with a couple of pops of color. 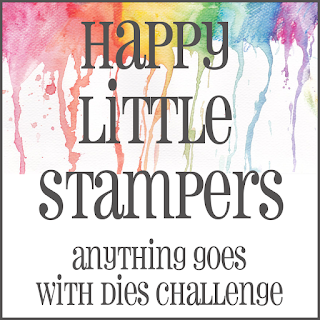 There's an "anything goes" challenge at Simon Says Stamp Wednesday Challenge so I think I'll add this over there as well. Thanks for stopping by! I hope you will join us at CAS(E) This Sketch this week. Our design team has created some great cards to inspire you to play along with us! Hello, hello. It's time for a new sketch from Freshly Made Sketches! 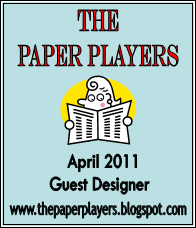 Our hostess this week is Kim who designed a classic sketch for us. 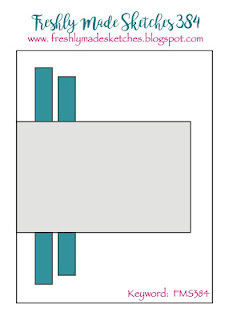 This card is the second iteration that I made with this sketch. The first one was so boring I couldn't bring myself to post it. So despite it being the Nth hour I crawled back into my craft cave on Tuesday night when I got home from work to see if I could come up with something better. 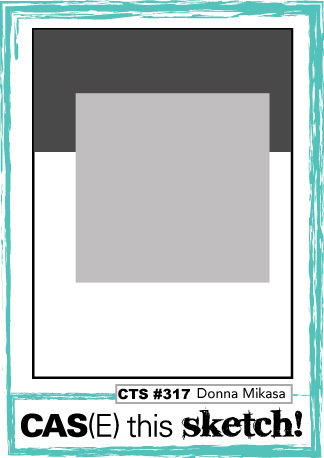 I started perusing cards that I had made for a now-defunct sketch challenge and found one that I could use to CASE myself. 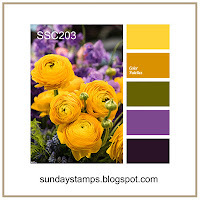 Using a few of the colors from Sunday Stamps this is what I came up with. 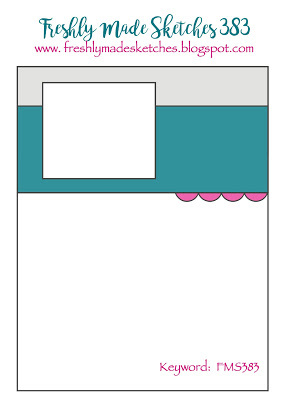 It's been a long time since I've used a button on a card but sometimes I love that old school look! Thanks for stopping by! 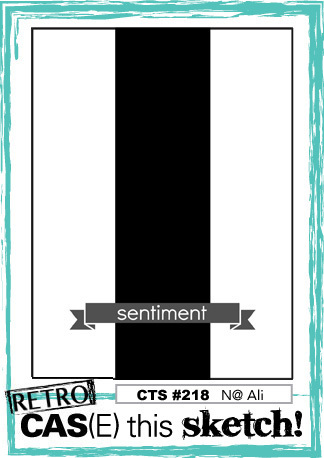 Our Freshly Made Sketches design team has made some fantastic cards to inspire you to play along with us. I hope we'll see you in the gallery! 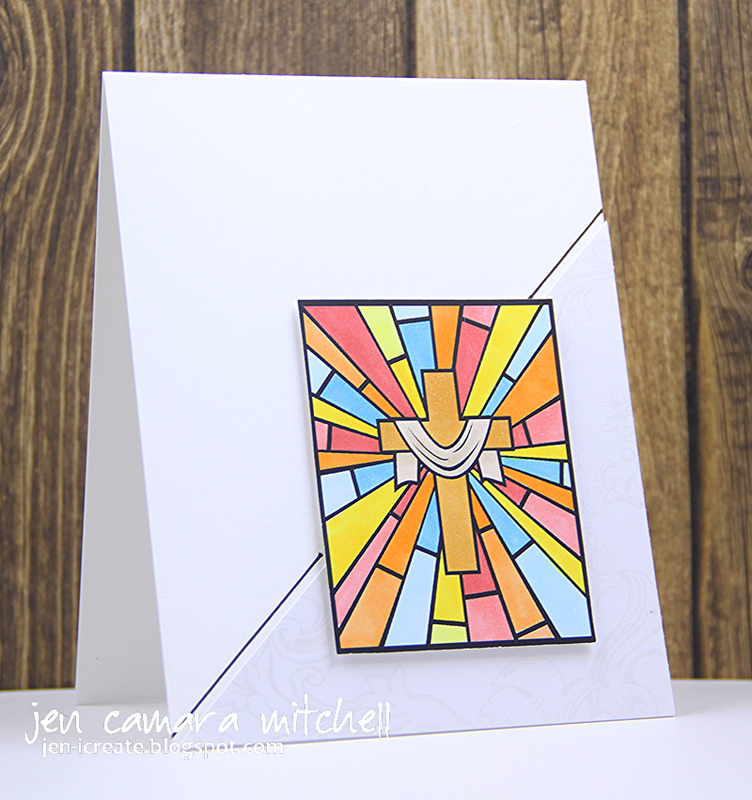 I've got a new card today combining the sketch at CAS(E) This Sketch and the inspiration at Fusion. Since I don't have anything even remotely resembling a fish in my stash I had to go in another direction and made my card based on the Fusion colors! 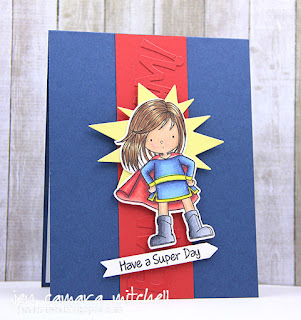 Colors like that always seem to put me in mind of super heroes so I used this fabulous super girl as the focal image on my card. I added some die cut sentiments to the vertical red layer to add some dimension - they say "BAM!" 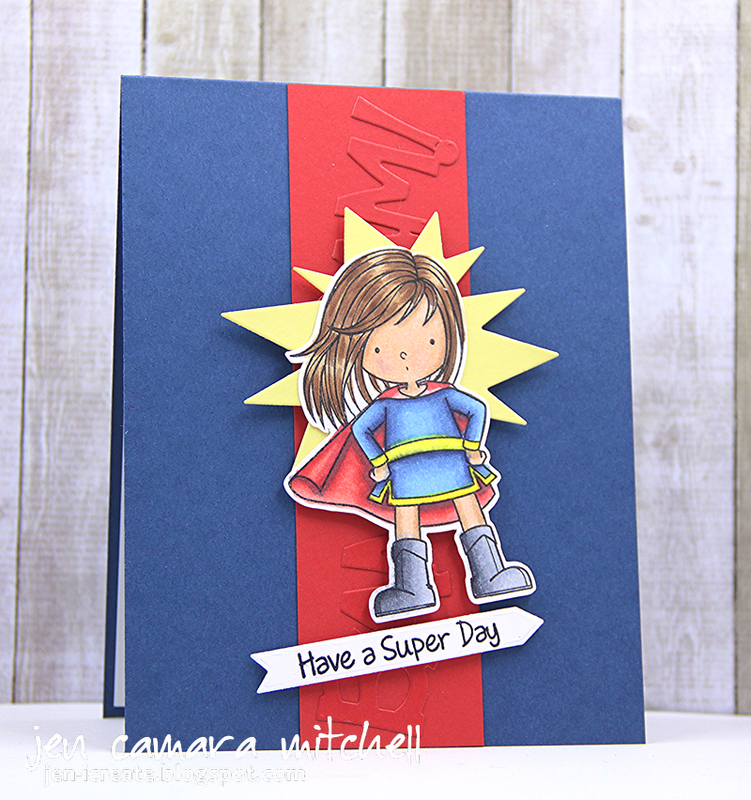 and put the starburst behind my super girl to show she's got some pizzazz! Our CAS(E) This Sketch is a retro one - all the way back to number 218. The card I made for that challenge was quite a bit different! 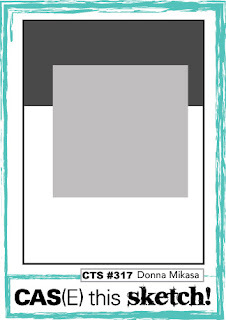 That one was all about white space being white. My card today shows that "white space" can be any color you want! Thanks for stopping by! 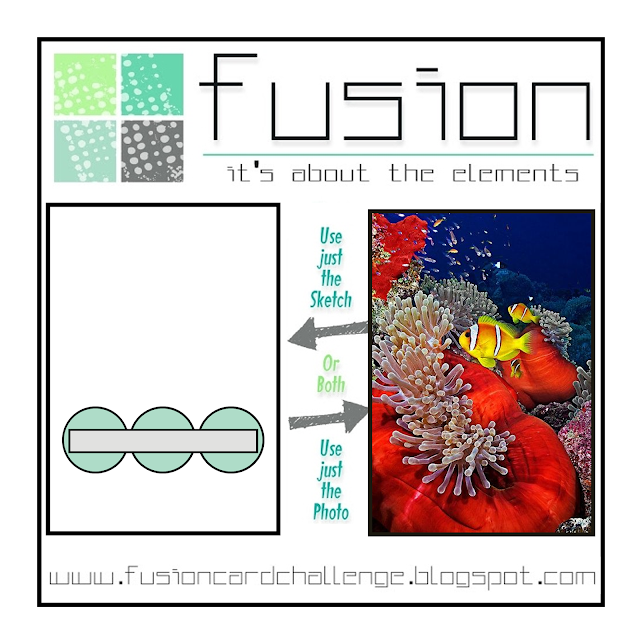 I hope I'll see you in our CAS(E) This Sketch or Fusion galleries! It's hard to believe we are half way through April but the calendar doesn't lie! 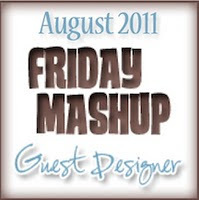 And the calendar tells me it's Wednesday so that means we welcome a new challenge at Freshly Made Sketches. This week Linda is our hostess. 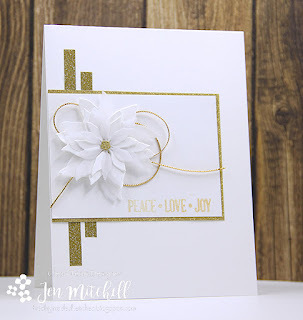 I feel like I've made variations of this card a lot lately, but I am in love with this Penny Black poinsettia die so I tend to reach for it a lot! 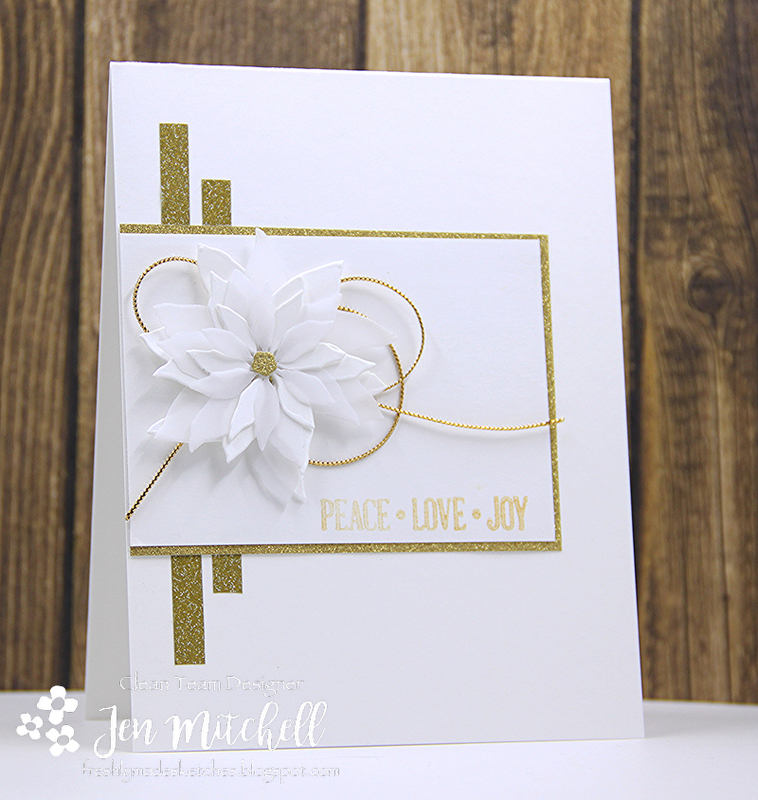 This time around I used a simple color palette of gold and white which allowed me to play along with the Christmas Card Throwdown challenge. 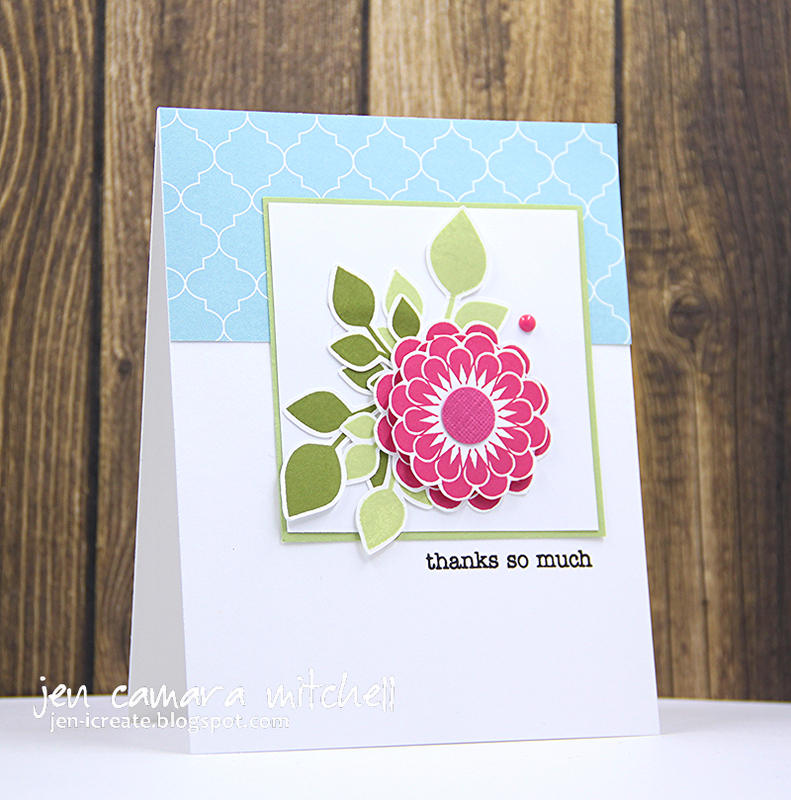 That beautiful poinsettia die fits right in with the "anything goes with dies" challenge at Happy Little Stampers. Thanks for stopping by! 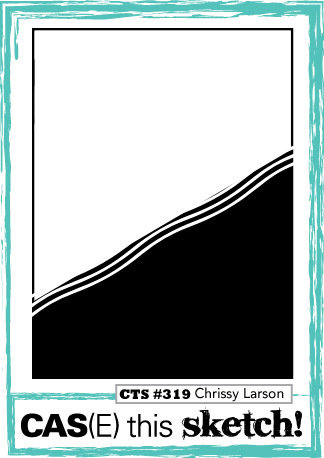 My Freshly Made Sketches teammates have made some fantastic cards to inspire you to play along with us. 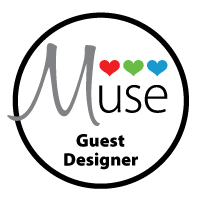 I hope to see you in the gallery! I absolutely love the challenge this week at CAS(E) This Sketch. It's got wide open spaces that leaves lots of room for interpretation. 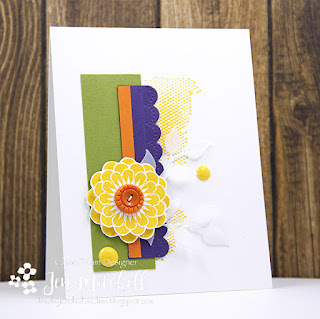 I fell back to one of my favorite floral stamp sets and created this layered flower. 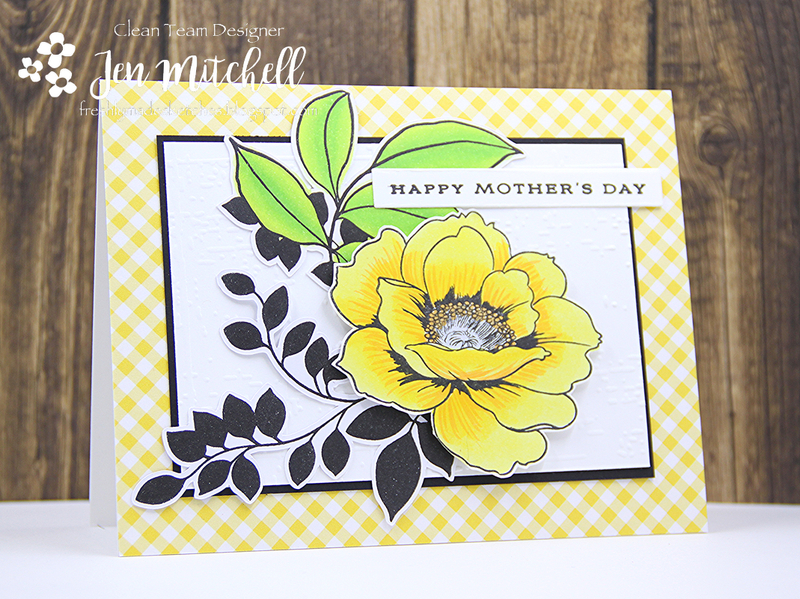 My Scan N Cut made quick work of the leaves and in no time at all this card was done! My colors were inspired by the challenge at The Color Throwdown. Thanks for stopping by! Check out the designs of my CAS(E) This Sketch teammates for some inspiration. See you in the gallery! There happened to be a "plaid or check" challenge at The Paper Players this week and that heavily influenced my card. 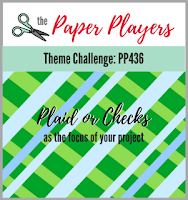 I tend to think of "check" as a spring-time design (like gingham) and plaid as something I would use for Christmas. 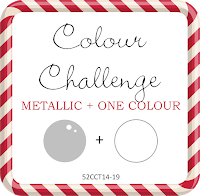 I fully intended to make a Christmas card but changed my mind when I saw the CASE the designer challenge at Global Design Project and had a look at my stash of patterned paper. Turns out I didn't have one single plaid design in Christmas colors (something I will surely remedy!) but I did find this plaid in one of the colors of the inspiration at Global Design Project. 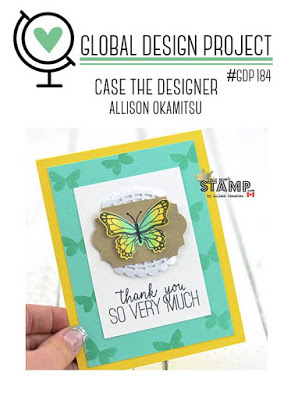 From there I incorporated some of the other colors and I capped off my design with a beautiful butterfly. Thanks for stopping by! 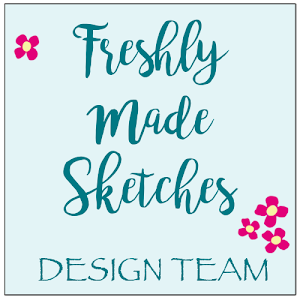 My Freshly Made Sketches teammates have made some amazing designs with my sketch so I am sure you will be inspired to play along with us! Hello! Today is one of those days when I combine the sketch at CAS(E) This Sketch, designed by Brian, with the inspiration at Fusion. 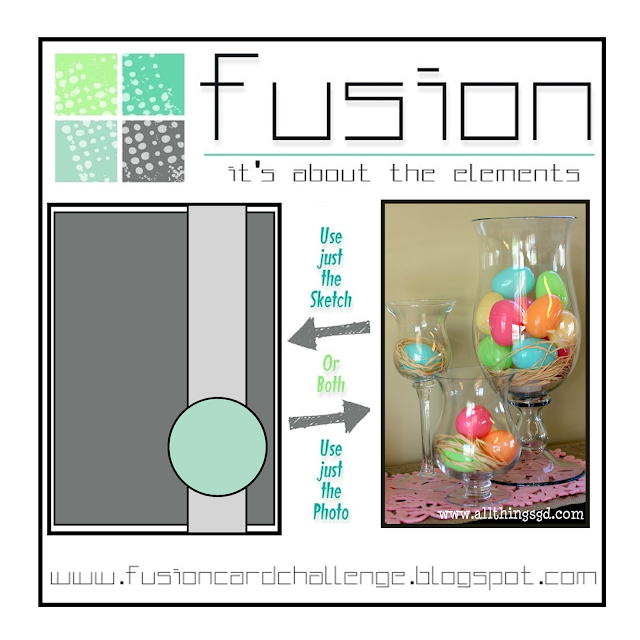 I settled on an Easter theme - per the Fusion challenge and started looking online for some digital images. I found one that was perfect! 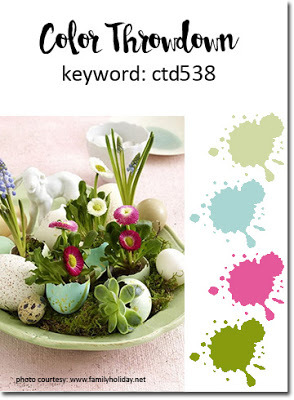 I colored the focal image with the bright colors inspired by the colorful eggs and used a very subtle pattern on the triangular layer. 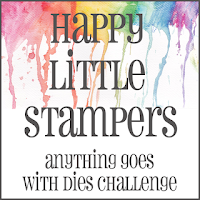 I had found some old Stampin' Up! paper in my stash that had a white on white design. 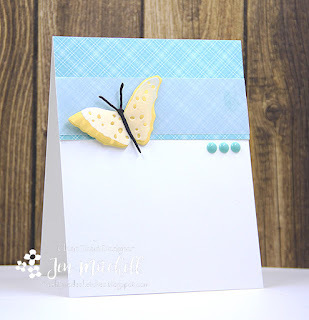 I never had much use for it (which explains why it is taking up space in my craft room) but the simple design was perfect for what I wanted for this card. 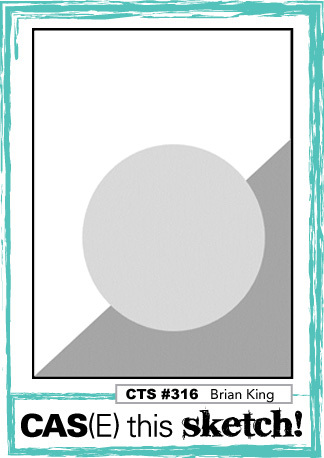 The only extra thing I did was draw a fine line in black along edge of the angled layer just to add some contrast. Thanks for stopping by! 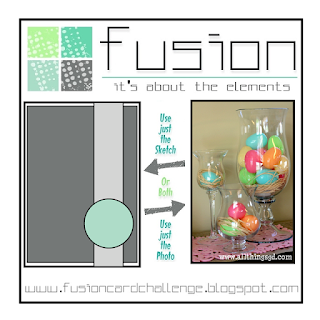 I hope you are inspired by the challenges at CAS(E) This Sketch and Fusion to play along with us! 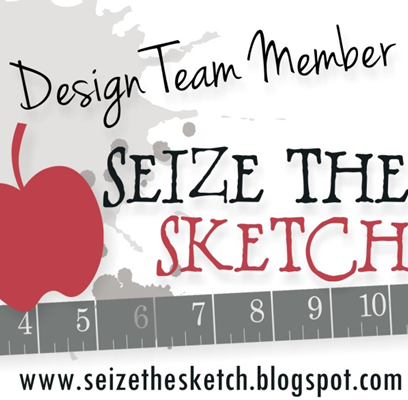 We've got a great new challenge over at Freshly Made Sketches designed by the very talented Jen Timko. I love when the design is landscape orientation because I rarely make cards that way. 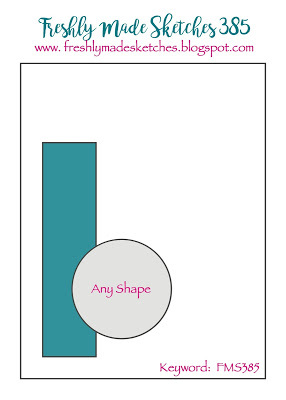 There always seems to be more space when the card is done in that direction - an optical illusion (or a personal delusion)...you decide! I've been craving some signs of spring lately. I go for a walk every day on my lunch hour at work so I've very in tune with the weather. And so far spring around here hasn't been all that warm and to make matters worse it's been wicked windy so that makes it feel even colder! 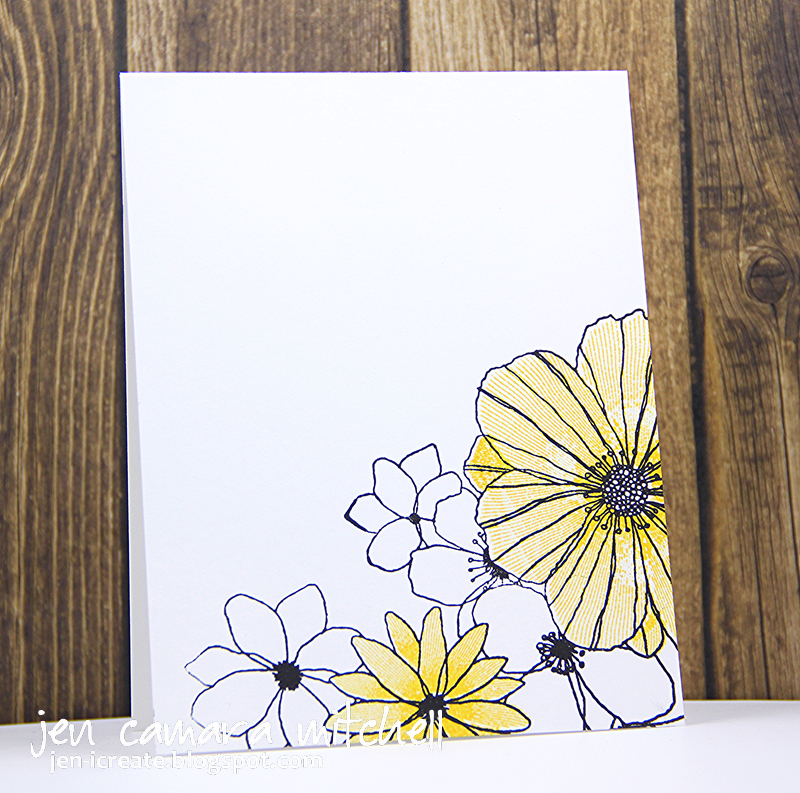 To be fair I've seen small signs such as crocus and the beginnings of daffodils and tulips but I felt the need to take matters into my own hands and create a card with bright yellows and a pretty flower so that I can pretend that spring - and those warm sunny days - is here for real! I added the gingham background because bright colors in a gingham pattern scream "happy" to me! 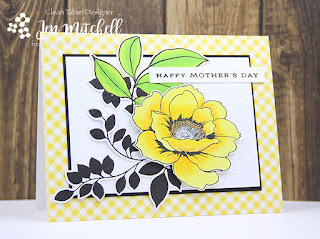 Mother's Day in the US will be here before I know it so I took the opportunity to turn this bright and cheery card into one for my Mom. I think she's going to like it! Thanks for stopping by! 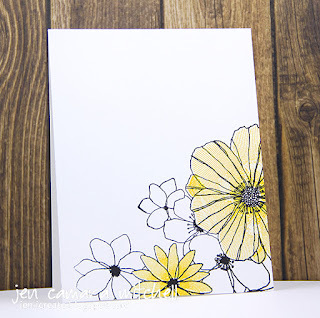 Our Freshly Made Sketches design team has created some fantastic cards with Jen's sketch so you will surely be inspired to play along with us!